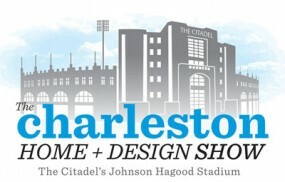 The Charleston Home + Design Show — to be held at The Citadel’s Johnson Hagood Stadium in downtown Charleston — showcases thousands of the newest and finest custom home products by many of Charleston's most recognized and respected local companies. Thousands of custom home products all under one roof! For dates and more information visit www.charlestonhomeanddesignshow.com. ABOUT NEW HOME CHARLESTON: New Home Charleston publishes Charleston Home + Design magazine (quarterly) and organizes the Charleston Home + Design Show (held at the end of January annually), The “Open Air” Home + Design Show (held each April at Family Circle Stadium on Daniel Island), and the Custom Home + Remodel Show featuring the Charleston Hurricane + Disaster Expo (held at the end of August annually). Join in and write your own page! It's easy to do. How? Simply click here to return to Submit Your JANUARY Charleston Event .